Whenever I think of porridge I think of something bland and beige, the sort of thing that only people in prison and old time-y kids in Charles Dickens novels eat. 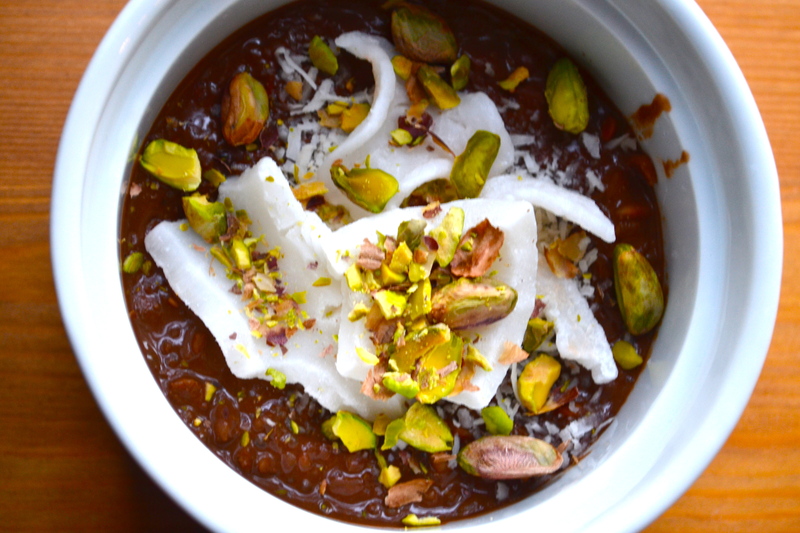 This all changed after seeing this amazing post “To Talk Porridge” from Megan Gordon at A Sweet Spoonful. 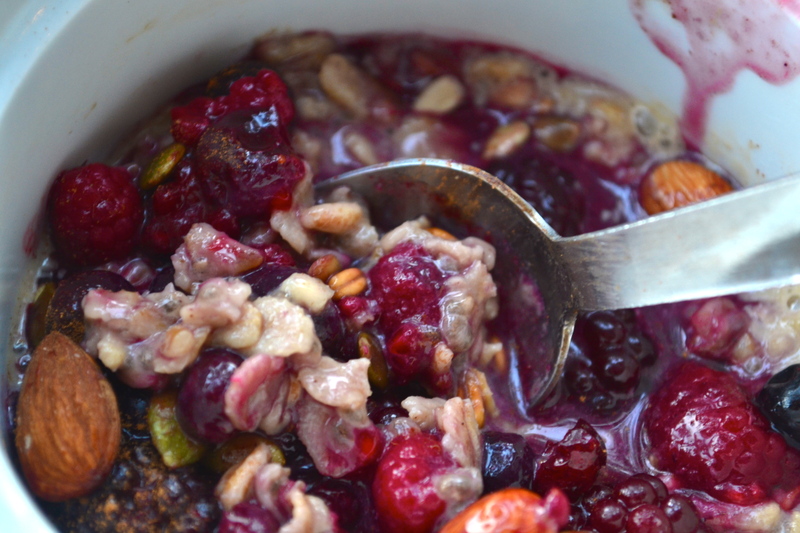 This porridge was not bland; it was topped with cranberries, coconut, and almonds; and it was not beige (well not entirely anyways), it was swirled with deep red and tinged with pink. And multi-grain oatmeal guys, is really just code for porridge. It just sounds nicer than the word ‘porridge’. 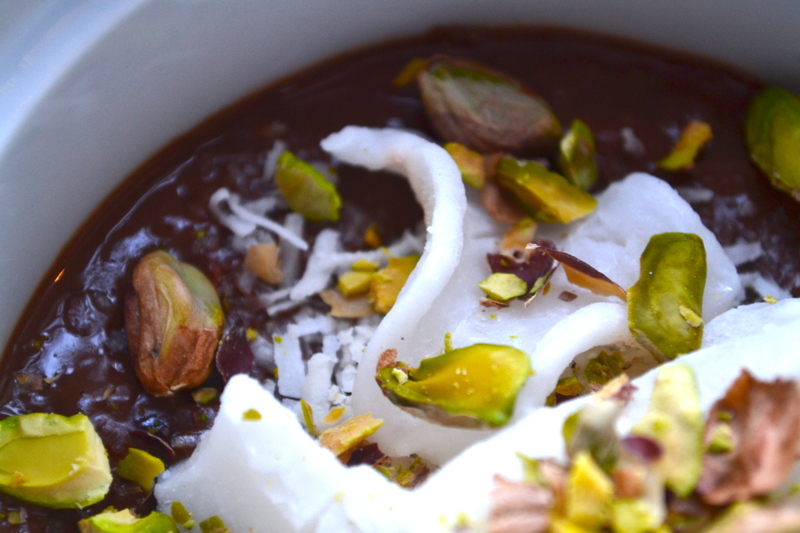 Taking inspiration from that post I came up with a yummy and very chocolate-y multi-grain porridge that is essentially like eating chocolate pudding for breakfast…chocolate pudding that is dairy free, refined sugar free, egg free and has 358 calories, 4.5 grams of fiber, 5.7 grams of protein and is full of healthy coconut fats and omega-3. If you switch the grains too you could definitely make this gluten-free. Although I’ve always liked the idea of oatmeal I never really liked hot oatmeal itself. It was sort of gluey and too one note. 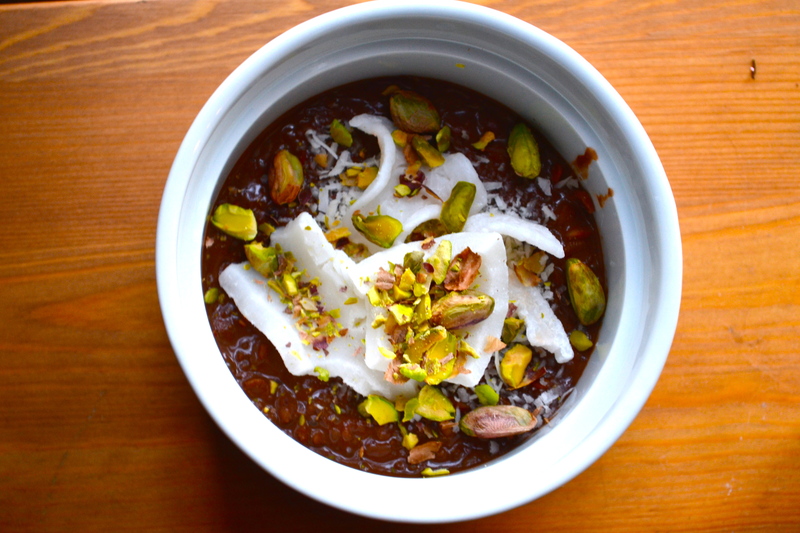 I think porridge, or maybe this porridge, solves that issue by using more than one grain for texture, so its more “toothsome” (stealing this word from A Sweet Spoonful’s post as I thought it was very evocative of what I was going for…). 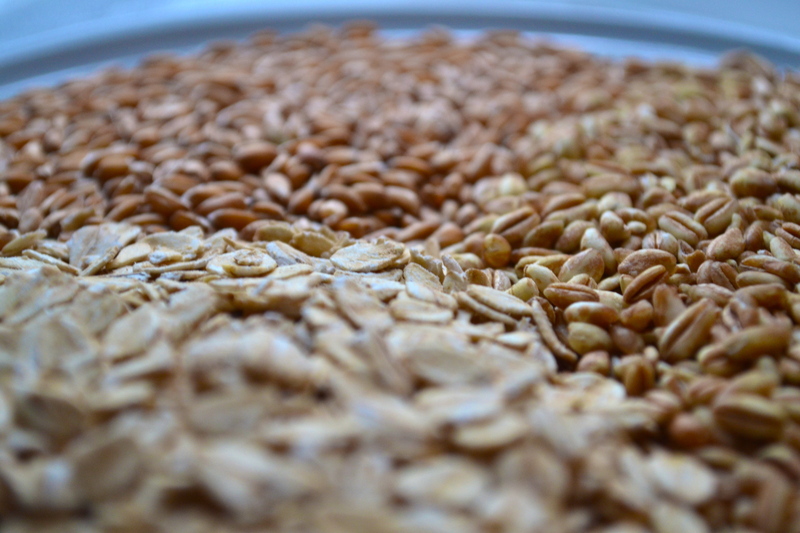 Naturally I started with rolled oats but for texture variation I added farro and spelt. Using a variety of grains also makes it healthier, adding in different nutrients, fiber and protein (depending on the grains you go for). I also added some chia seeds at the end which not only possess the uncanny power of transforming anything into “pudding” (look it up) but are also rich in omega-3. In order to reduce cooking time I used Trader Joe’s 10-Minute Farro and for the spelt I’m pretty sure I just used regular spelt even though the cooking time for spelt is supposed to be quite long…but it was still fine with 10 minutes. In order to avoid gluey oatmeal I followed the tips that Megan gave out on her post including to toast the oats first, only add the oats when the liquid is boiling and to avoid stirring the mixture while it cooks. 1. Heat a pan on medium heat and add the coconut oil when hot. 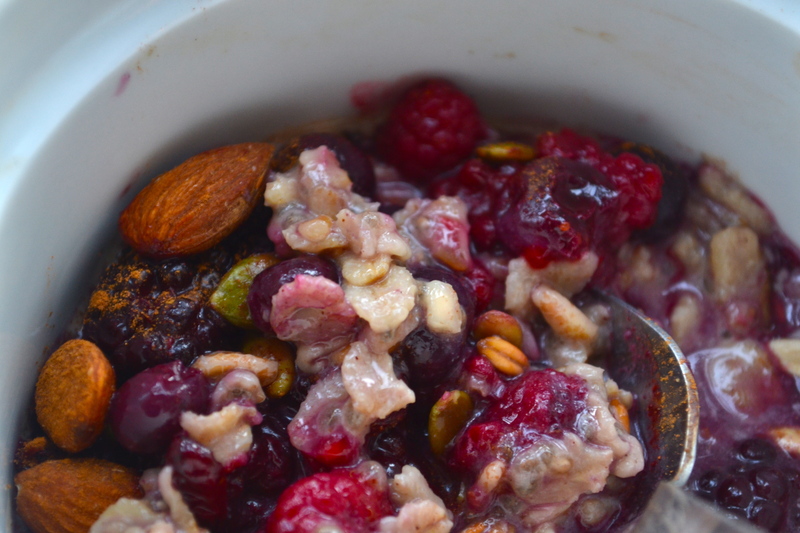 Toss the oatmeal, farro and spelt in and toast in the coconut oil until they start to smell toasty. This also helps reduce cooking time. 2. Meanwhile, heat a pan with 1.5 cups of almond milk and bring that to a boil. 3. 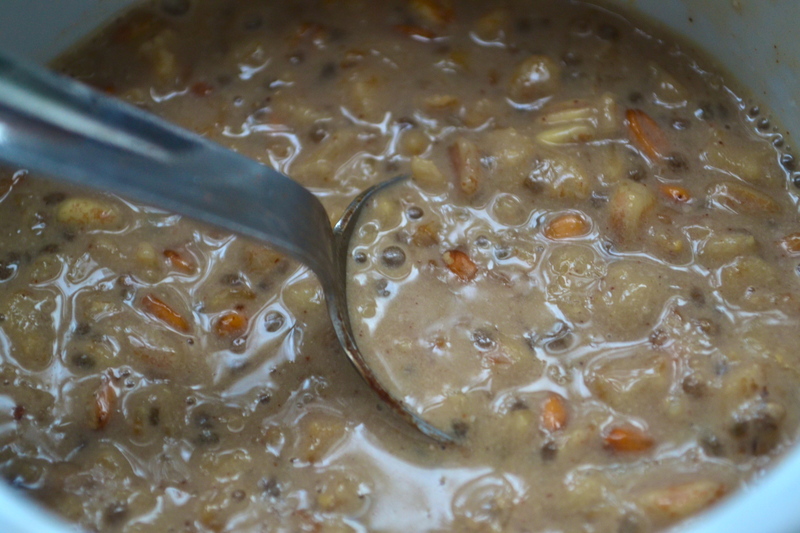 Add the toasted grains to the boiling almond milk, lower heat to simmer, cover and cook for 8 minutes. 1. 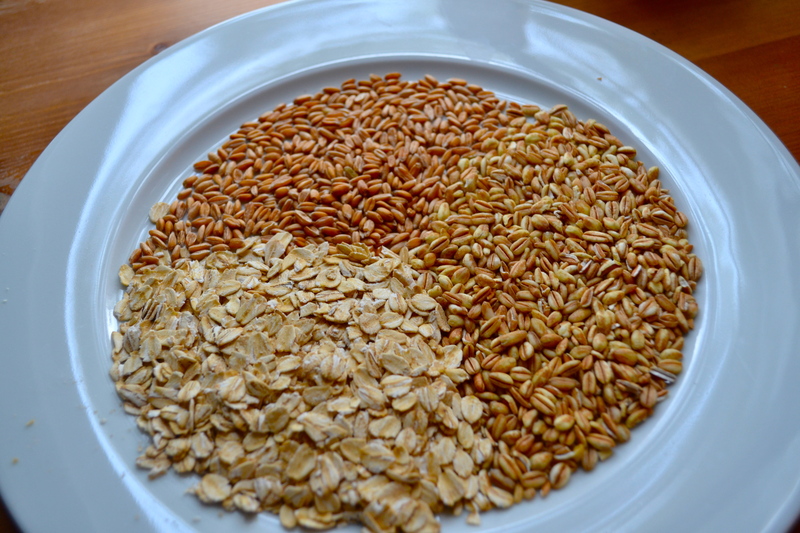 Once you have your basic multi-grain oatmeal cooked for 8 minutes, uncover the mixture. 4. 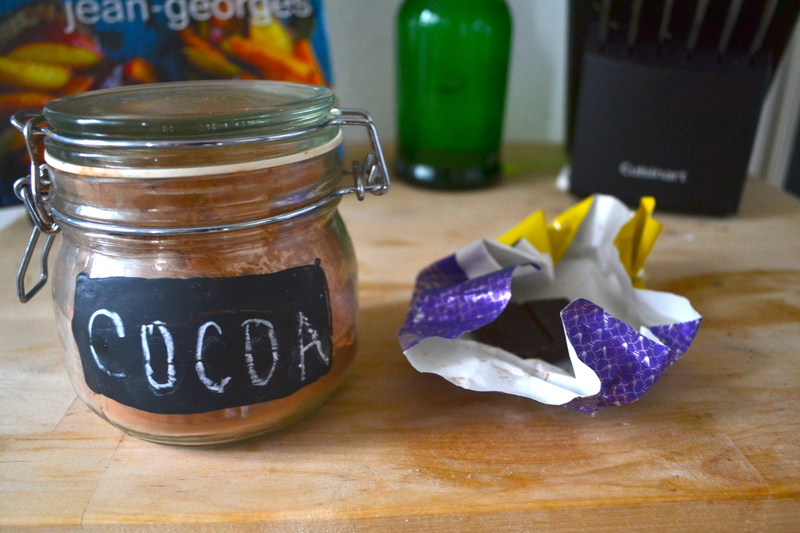 Add in the the cocoa powder, coconut sugar, dark chocolate, chia seeds and remaining 1/2 cup of almond milk. You can add more or less almond milk depending on how thick you want your porridge. Stir minimally to combine, taste for doneness/add more sweetener if necessary then let cook for another 1-2 minutes. 5. 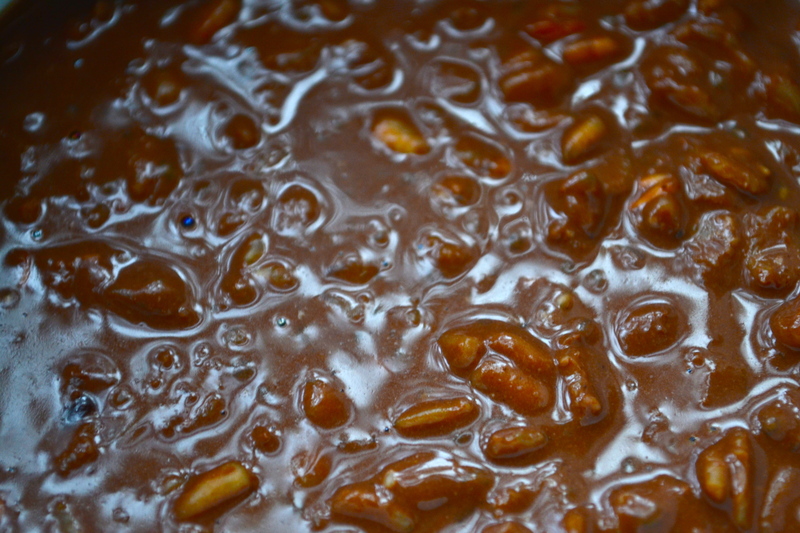 Remove from heat, add in the vanilla extract, stir, add toppings and serve. Now for the toppings. This is honestly perfectly fine by itself but some toppings really go that extra mile with making it feel like a dessert. 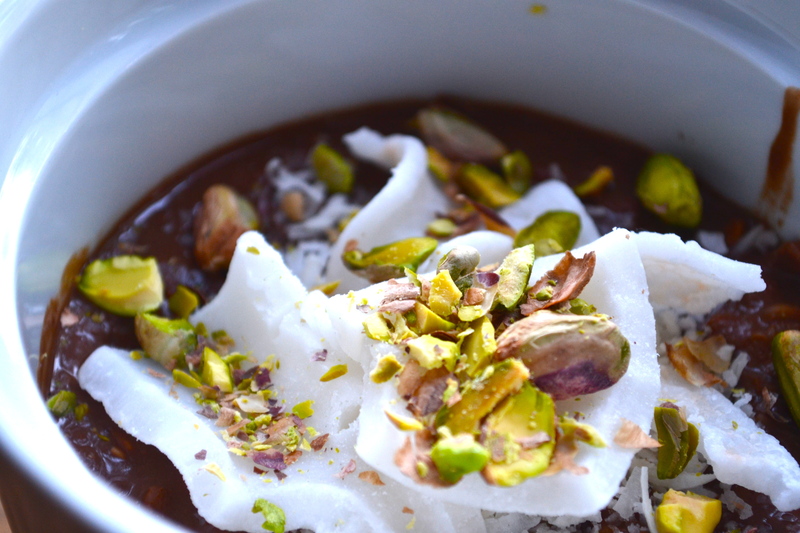 I went with coconut flakes and pistachios. 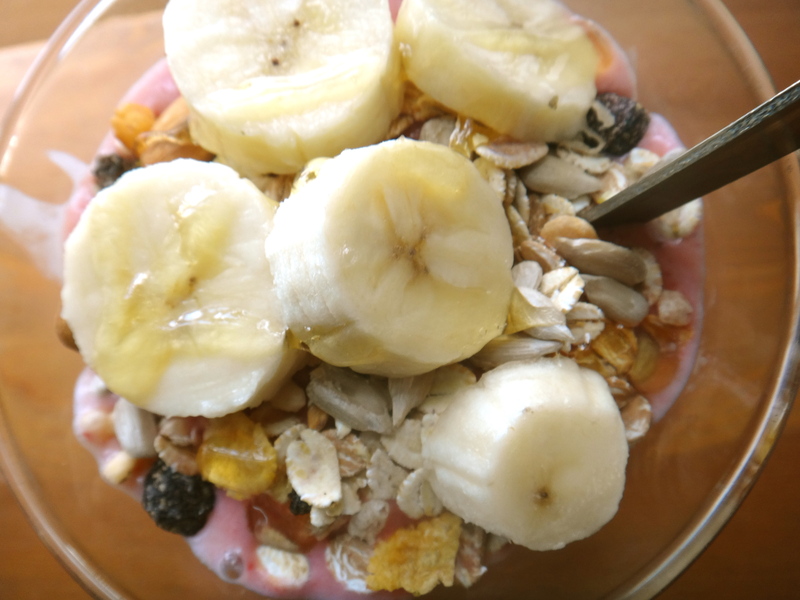 But you could also go with fresh berries, dried apricots and almonds, fresh bananas with a peanut butter swirl (or PB2 if you’re conserving calories, see this post. ), or anything you think pairs well with chocolate. Perhaps more chocolate. 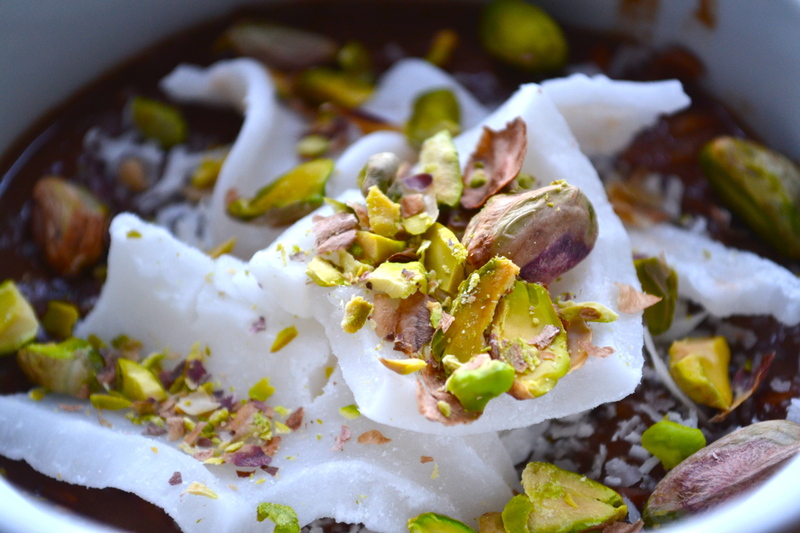 Another route you can go if you are not craving a simpler or fresher final product is to omit the chocolate and then add cinnamon and fresh fruit. This option also saves you 58 calories per serving so that your final product will be closer to 300 calories per serving. 1. Once you have your basic multi-grain oatmeal cooked for 8 minutes, uncover. 4. 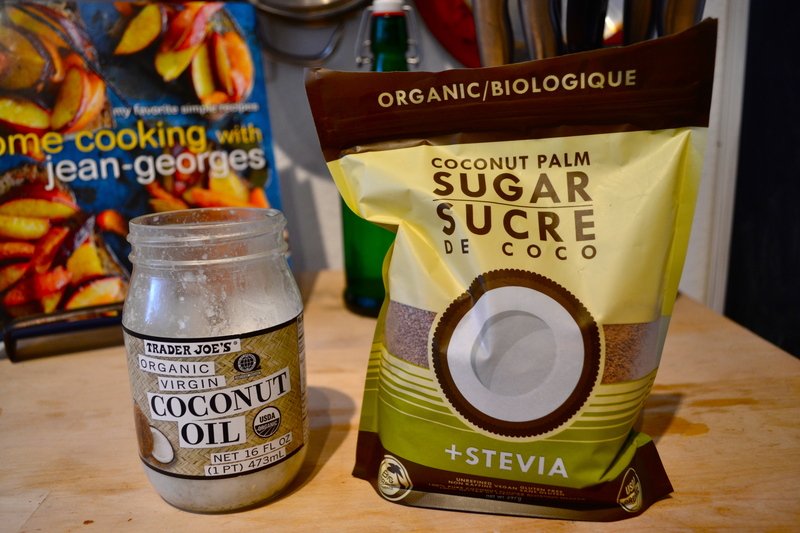 Add in the coconut sugar, chia seeds, cinnamon and remaining 1/2 cup of almond milk. 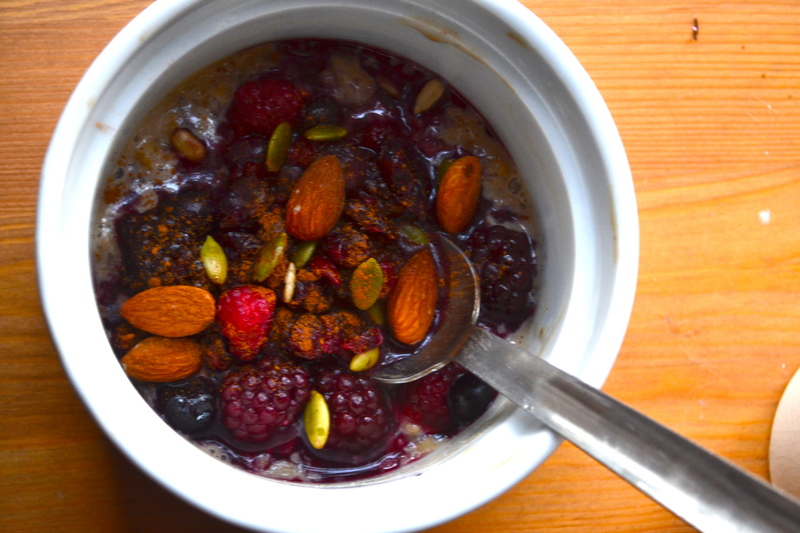 You can add more or less almond milk depending on how thick you want your porridge. Stir minimally to combine, taste for doneness/add more sweetener if necessary then let cook for another 1-2 minutes. 6. 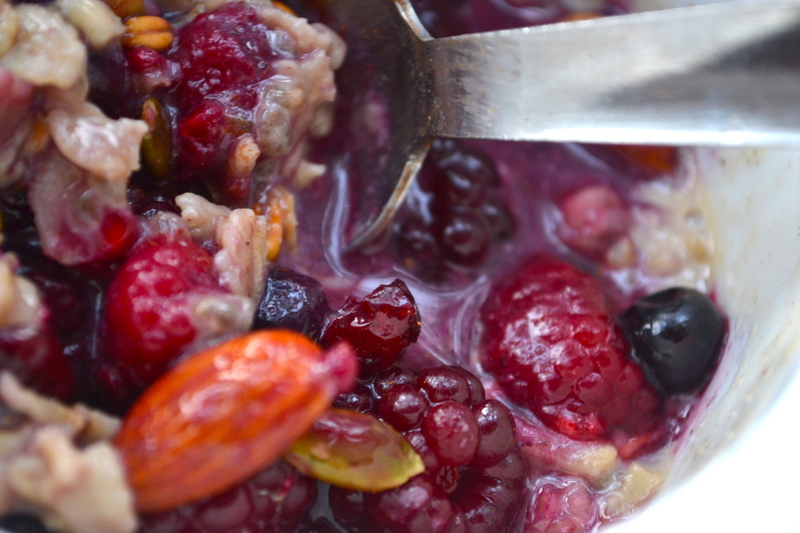 If you are using fresh berries, slice over top and if you are using frozen microwave/heat until defrosted and juicy then pour it over the top of your oatmeal. Normally I will always choose fresh berries but in this case the ones that were frozen will be soft and bleeding berry juice that mixes into the oatmeal. “Bleeding” is a poor word choice here but you know what I mean. I’m all for it. Added almonds and pumpkin seeds too btw. This version is also completely vegan. The chocolate pudding version is most likely vegan as well but I think that depends on the veganness of your dark chocolate. Mine was just regular Trader Joe’s dark chocolate so I believe it probably did have milk solids albeit a very small amount of them. – Substitute other grains, I think wheat berries would be soooo good in this because of their chewy texture. – Depending on how soft or how textured you want this vary the ratio of grains (more oatmeal will make it softer) or cook it for more or less time. – You could even use different grains to make this gluten-free; amaranth, quinoa, millet, sorghum, rice and some kinds of oats are gluten-free. Just make sure you adjust the cooking times accordingly for the grains you use. – So many toppings would be good with these. I really want to make the chocolate one again and add PB2 to it for peanut butter flavor then top with sliced bananas and a little swirl of real peanut butter. For the chocolate-free one I think some cinnamon baked almonds and pears with pecans would make it amazing. 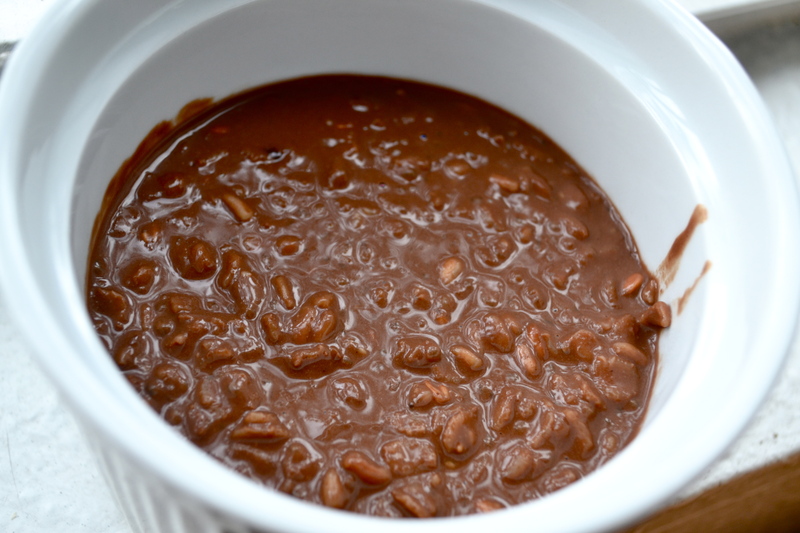 Or lots of coconut and a few chocolate chips if you only want a hint of chocolate. 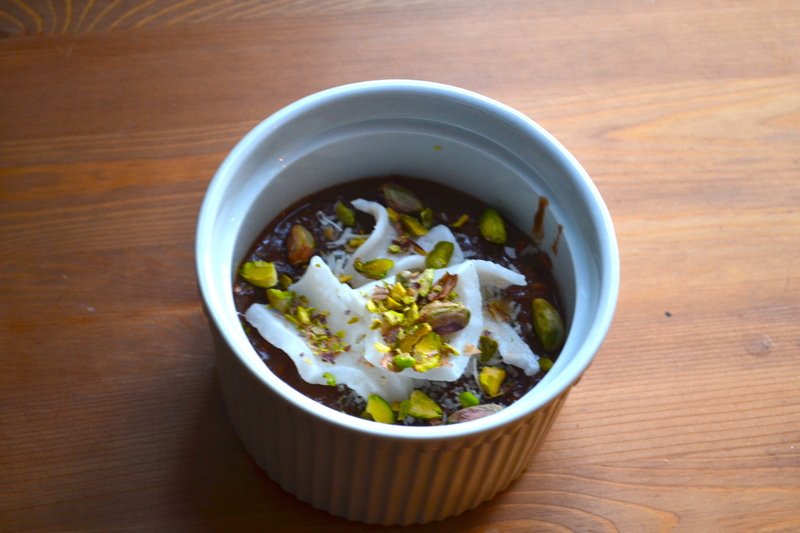 – As I mentioned before the chocolate-free one is vegan and the chocolate pudding version is most likely 99.9% vegan depending on how vegan the dark chocolate you use is. Now these were kind of inspired by acai bowls but mostly inspired by Jamba Juice’s Chunky Strawberry Topper fruit & yogurt parfait. Have you ever had one of those things? They are soo good. 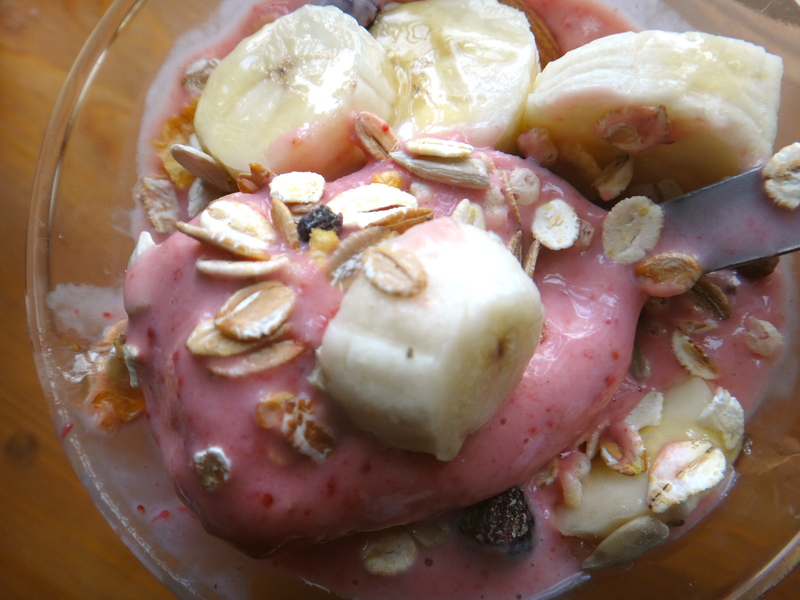 They blend strawberries, bananas, yogurt and peanut butter and then top it with fresh banana slices and granola. We had a Jamba Juice on campus and I used to have those things all the time until I realized they were 520 calories for the small ones which is more calories than a bagel with cream cheese! Therefore not really super appropriate for an in between classes snack and more meal replacement I suppose. 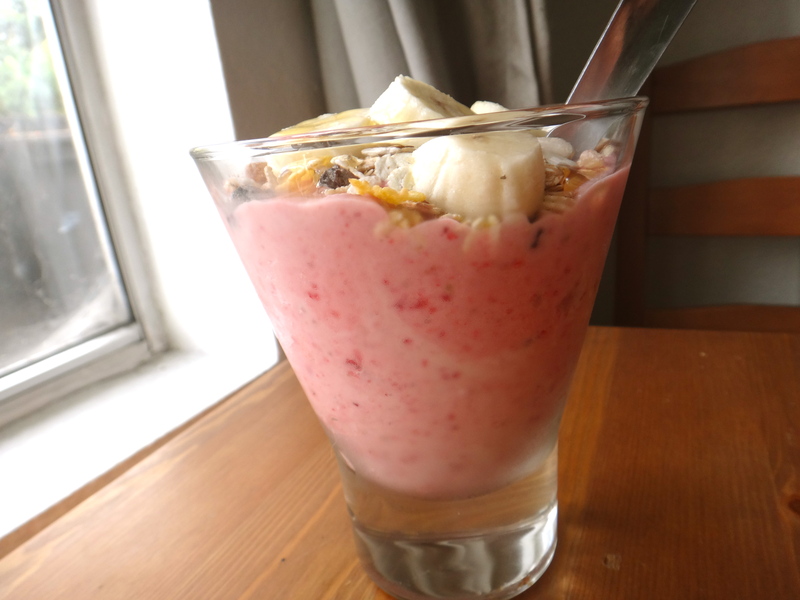 So I wanted to copy this delicious little parfait with about 200 less calories. 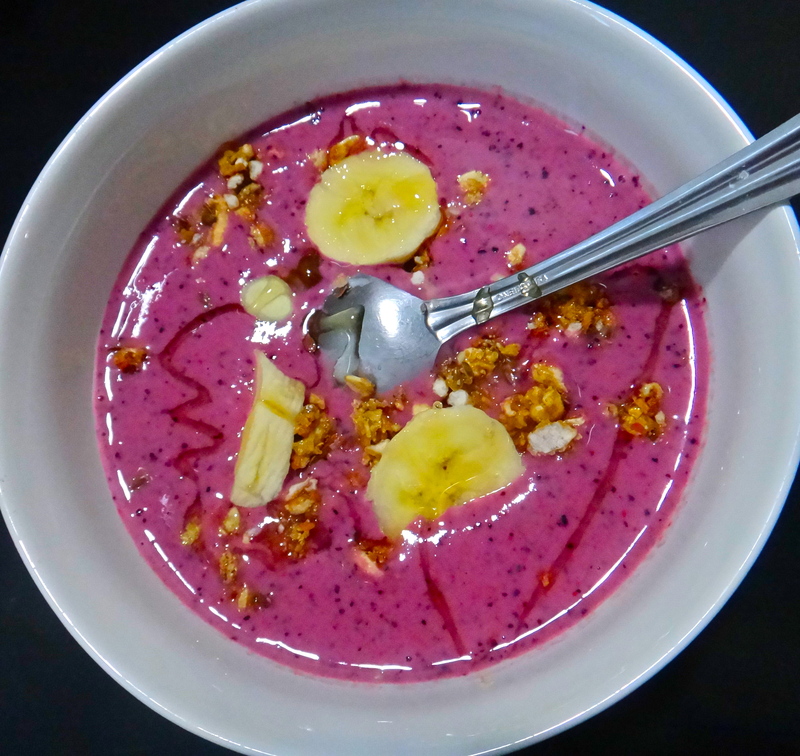 The key to making this healthier is replacing sugar-y yogurt with unsweetened vanilla almond milk and plain fat free greek yogurt. And substituting peanut butter with PB2, a powdered almost fat free peanut butter that is a great way to add peanut butter flavor with so much less fat. I elaborate more on PB2 in this post. 1. 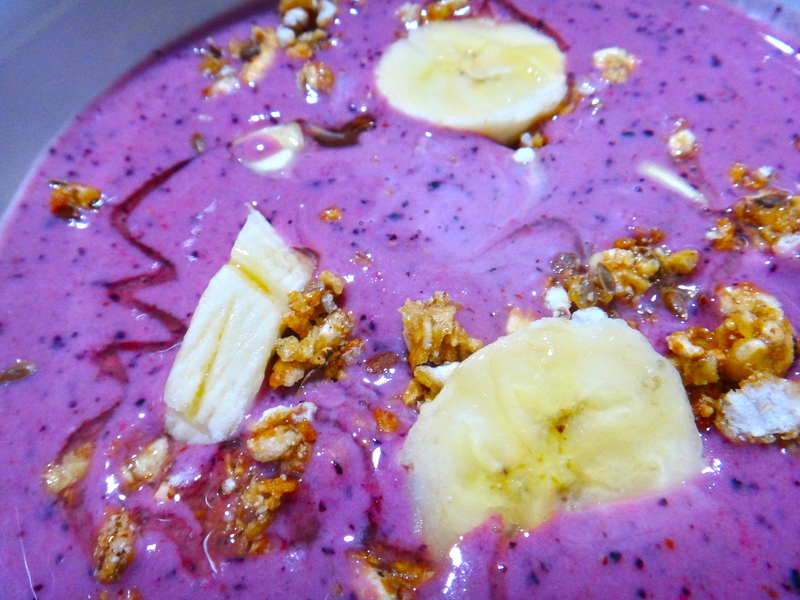 Blend berries, greek yogurt, almond milk, sweetener, PB2 and 1/2 the banana together until smooth-ish. 3. 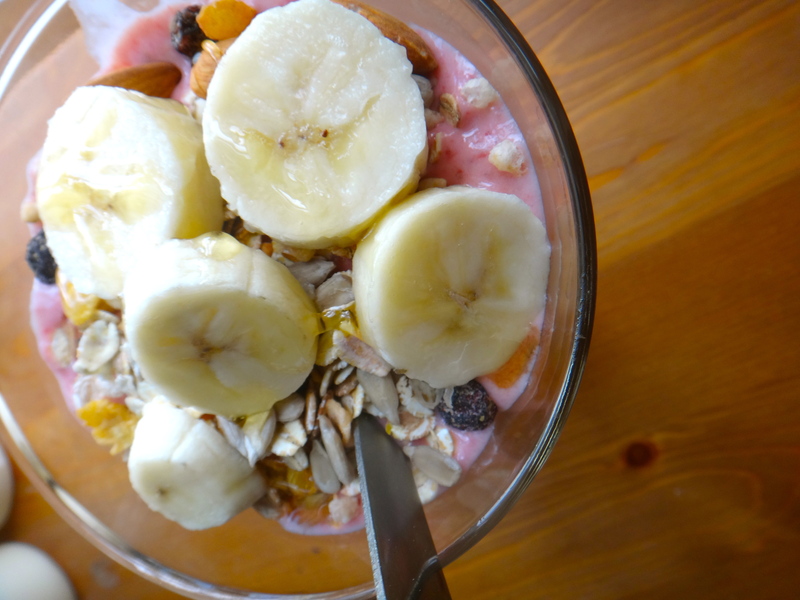 Top with thinly sliced other half of the banana + granola. 4. Drizzle with honey if you’d like. 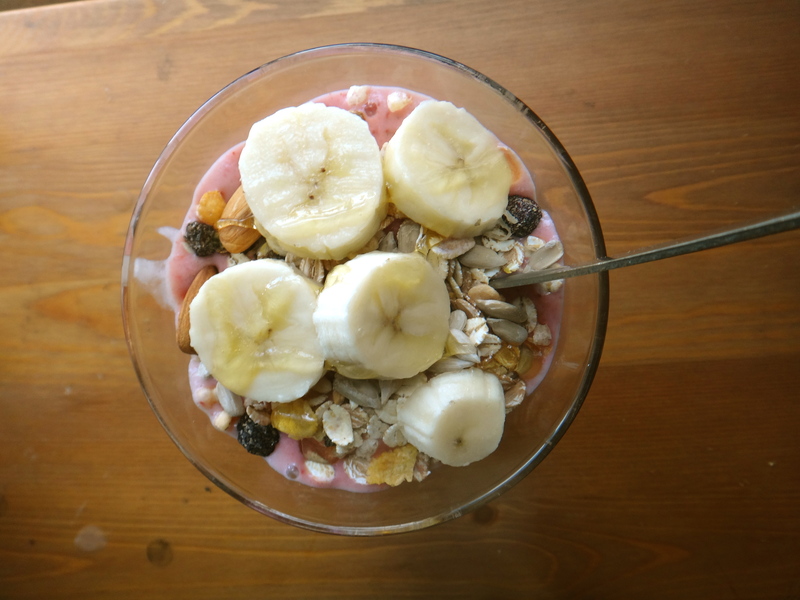 The base of this parfait basically has 180 calories so if you add in the banana on top and granola on top you have a total of 310 calories (depending on the granola you use of course). A little more if you use real sugar as opposed to a calorie-free sweetener. Still its not bad right? This would make a fantastic breakfast. And you can add in a little less almond milk if you want it thicker and more PB2 if you want more peanut butterness. The one pictured above was made with strawberries only which makes it really taste similar to the Jamba Juice version. I also made it with mixed berries (see below). I think the reason because its so purple in the pictures below is all the blueberries as well as taking a picture at night. And a lot of my granola sank into the parfait hence the few little lonely granola islands. Its a yummy and filling snack high in protein and antioxidants but still delicious with the peanut butter and crunchy granola. 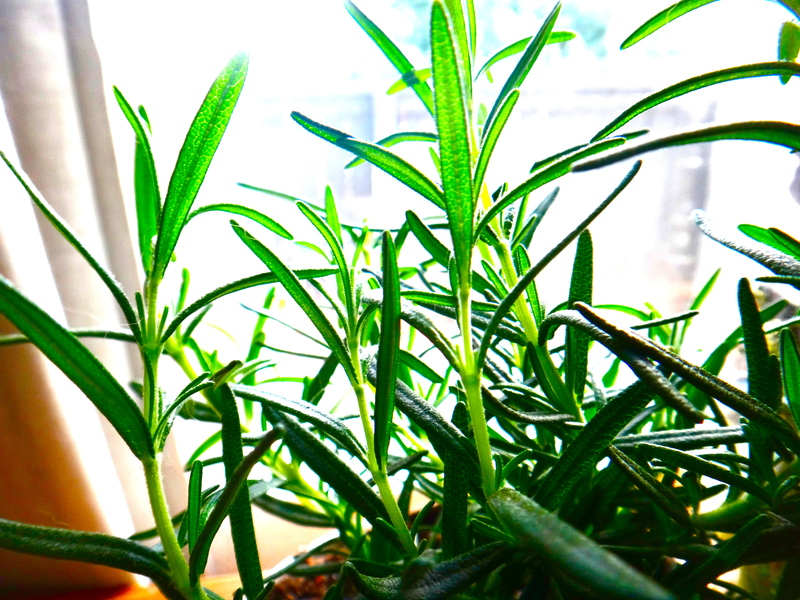 – This is is a great way to get all your healthy foods in a.k.a. 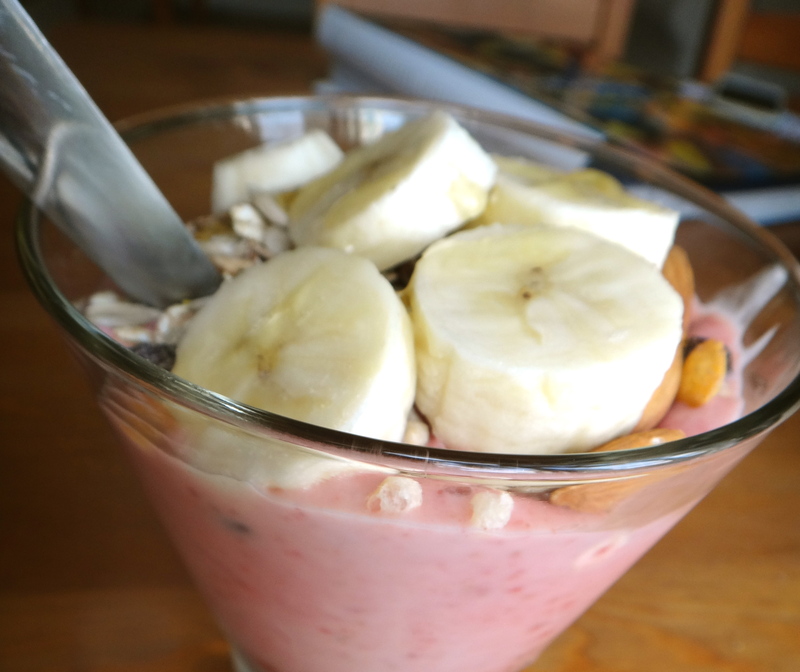 throw in a tablespoon or two of coconut oil or flaxseed oil in the yogurt parfait mix or add in maca powder for energy! 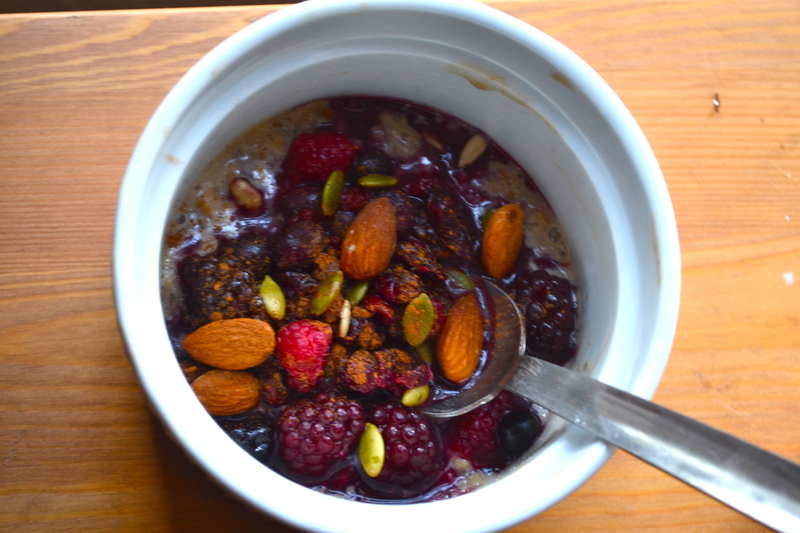 As far as topping it add in chia seeds, sunflower seeds, almonds, coconut flakes and/or berries. If you added in all those things you would have the ultimate omega-3, healthy fats, vitamin E, protein, antioxidants, you name it power punch. 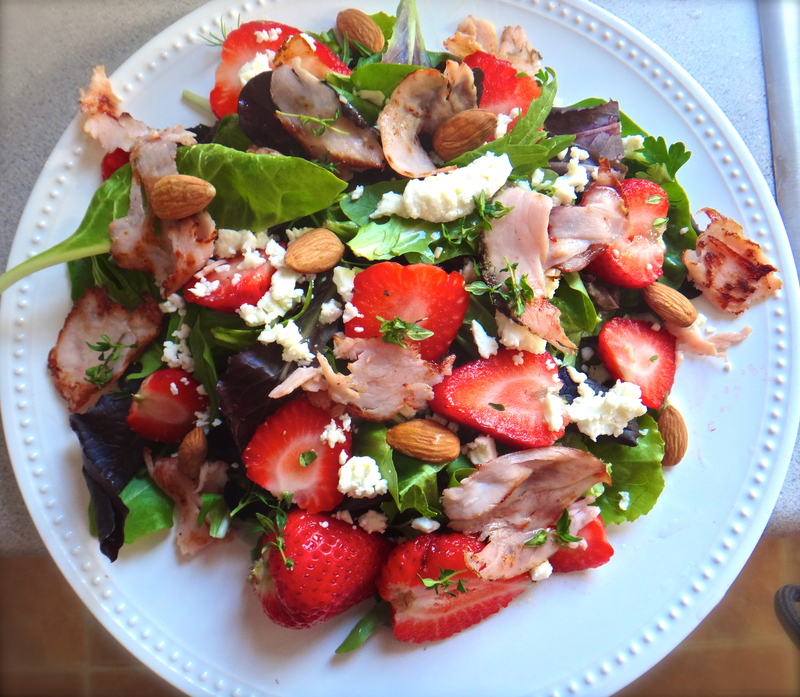 – Add fresh sliced strawberries on top. I wish I did! One of the best ways to eat healthy during the work week is to BYOL – Bring Your Own Lunch. Cooking a bigger portion ensures you have extra leftovers to bring to work. However there are days when there are no leftovers to be had and very little time in the morning to prep something to take to work. Even though I have turned to Trader Joe’s frozen meals and PB&J’s, I also learned how to make tasty, filling salads that I can throw together in 5 minutes. 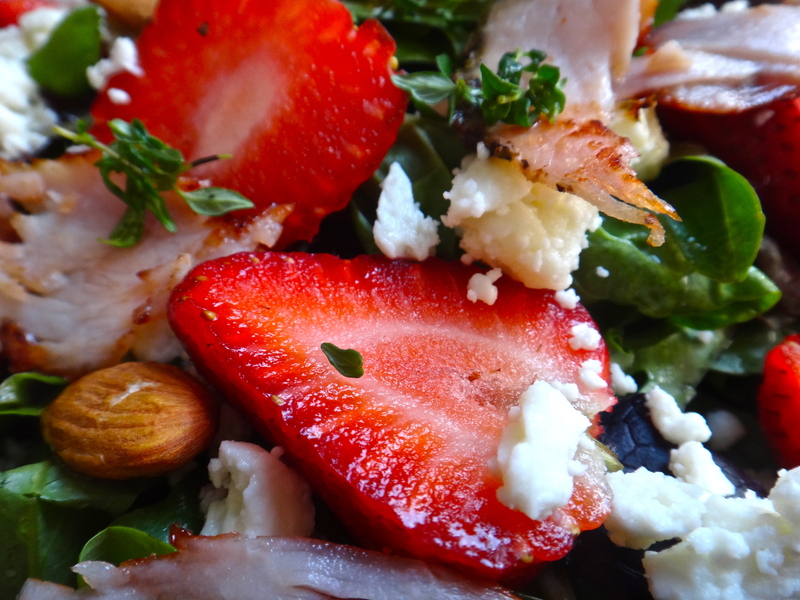 I love salads with berries and this an easy strawberry salad that requires minimal cooking and will be ready to go in your trusty tupperware in less time than you take to shower in the morning. 1. Heat up a small frying pan and add 1/2 tablespoon olive oil to it. 2. Rip up the turkey in small pieces and add it to the hot pan. 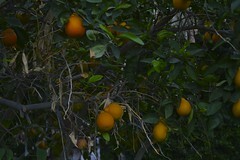 Season to taste and let it get crispy and brown around the edges. 3. While the turkey is browning fill your plate/bowl with the mixed greens and slice up your strawberries and place them on top of the greens. 4. 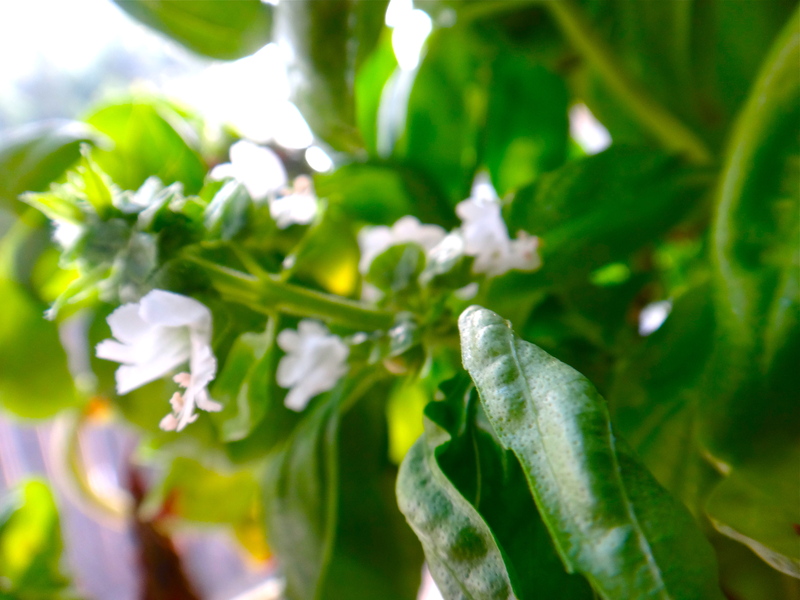 Add almonds, thyme leaves, then crumble feta on top. 5. Add the turkey thats browned. 6. Combine the 2 tbsp of olive oil, apple cider vinegar, and honey in a small bowl then whisk together and season to taste. If you are eating this right away pour it on top and toss to combine. If taking to work add it to the bottom of the container so everything doesn’t wilt and you can toss it all together before eating. You could also always add more meat like chicken breast. I like using meat as just an accent as opposed to the main ingredient in this salad because reducing your meat intake is good for you (but hard to do!) and although we tend to cook full meals for dinner (complete with steaks or salmon filets and whatnot) there are so many tasty ingredients you don’t miss it in this salad. 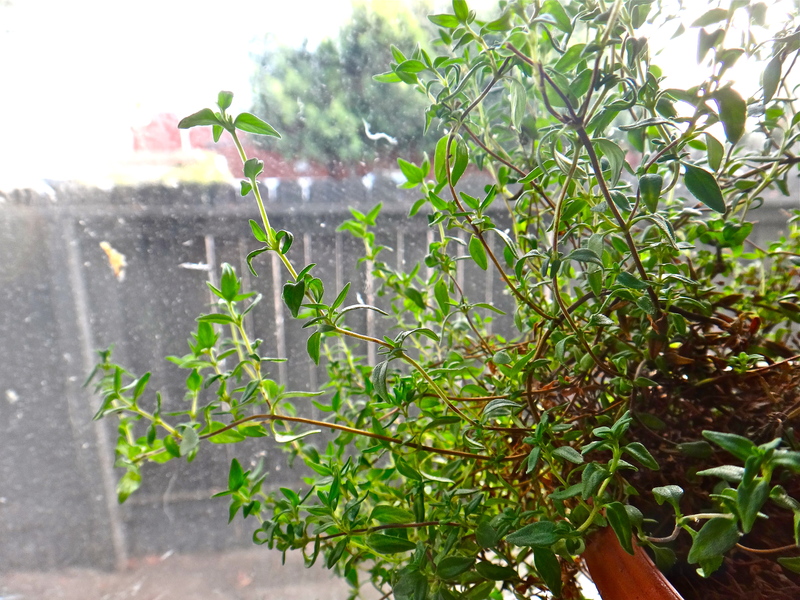 For this salad basil, rosemary, or mint would also pair beautifully with the strawberries. – If you don’t have strawberries: blueberries, blackberries, and raspberries would all do – just make sure its fresh fruit! 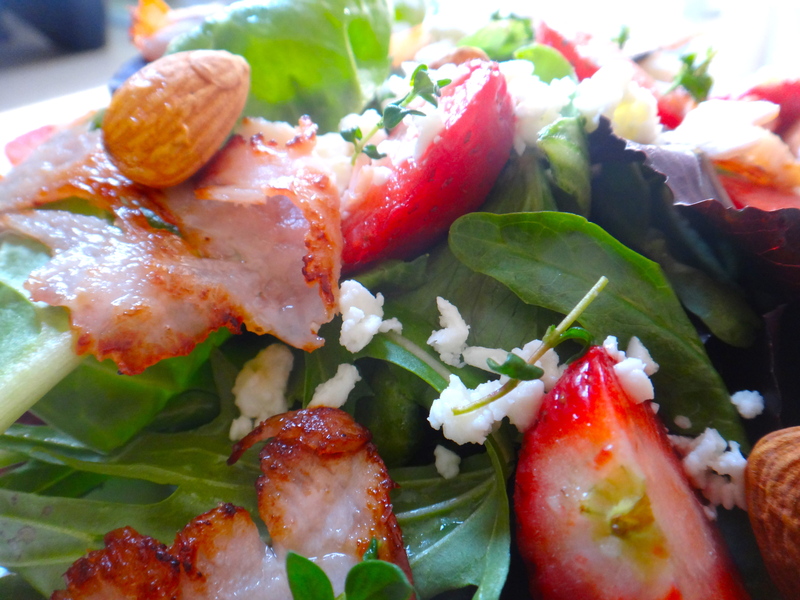 – We used fat free feta but using real feta makes the salad creamier and using goat cheese even more so! – If you don’t have almonds, hazelnuts would be particularly good here. Or else pine nuts, walnuts, pecans, pistachio and most nuts would work…perhaps not peanuts. 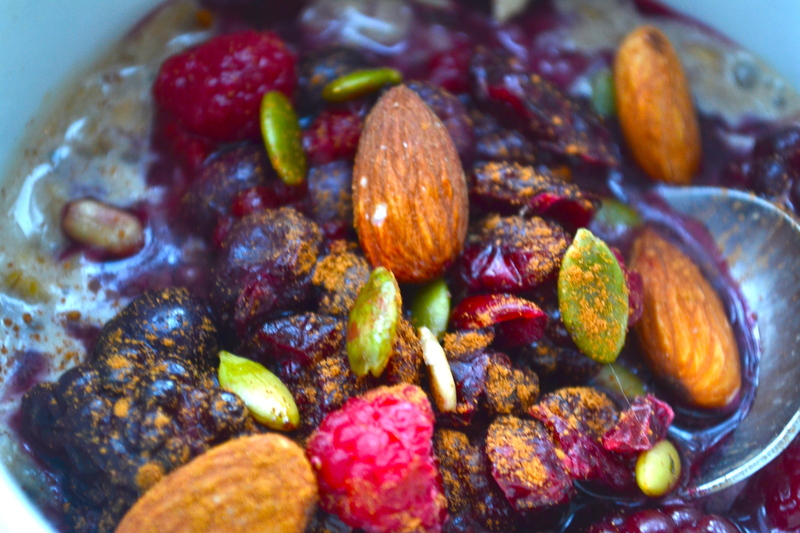 – Candied nuts always are really good in berry salads as well! Those have a lot of calories so we stayed away from them this time. – Any mixed greens maybe with the exception of iceberg lettuce could be used as a base – butter lettuce, romaine, spinach, etc. – If you use a pre-made low fat dressing that would save you even more time! 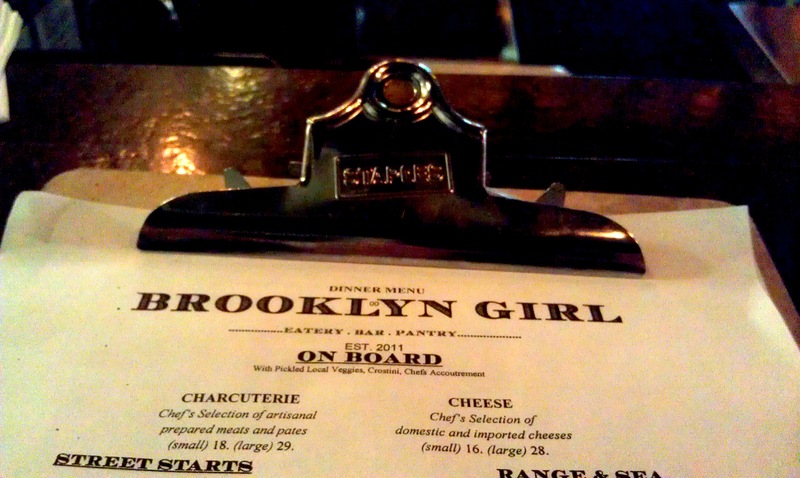 Brooklyn Girl is a great spot in Mission Hills doing fresh and inventive food and one of our favorite go-to neighborhood spots. The restaurant has a nice look to it and definitely lives up to its “Brooklyn” title. It’s housed in a warehouse style building but has a cool vibe with modern art on the walls, big crystal chandeliers in bird cages and trees wrapped in lights inside. They have a restaurant seated dining area, a bar area, communal tables and a “pantry” section that sells food items. We have been here a couple times and not only do we love the food but the service seems to be on point here. 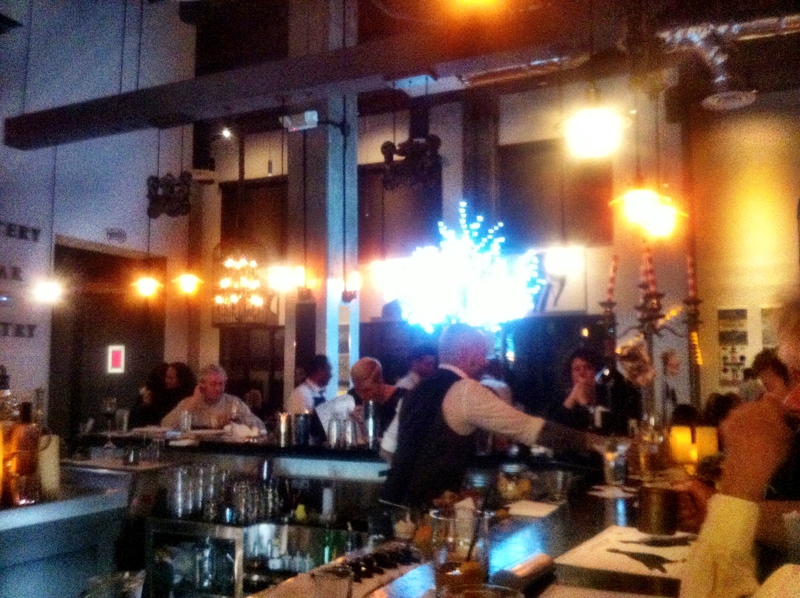 Also the bar and communal dining tables are great when you want to stop by but do not have a reservation. BREAD: In fact you do not get bread, they instead serve you popcorn which has been spiced differently every time we’ve been. 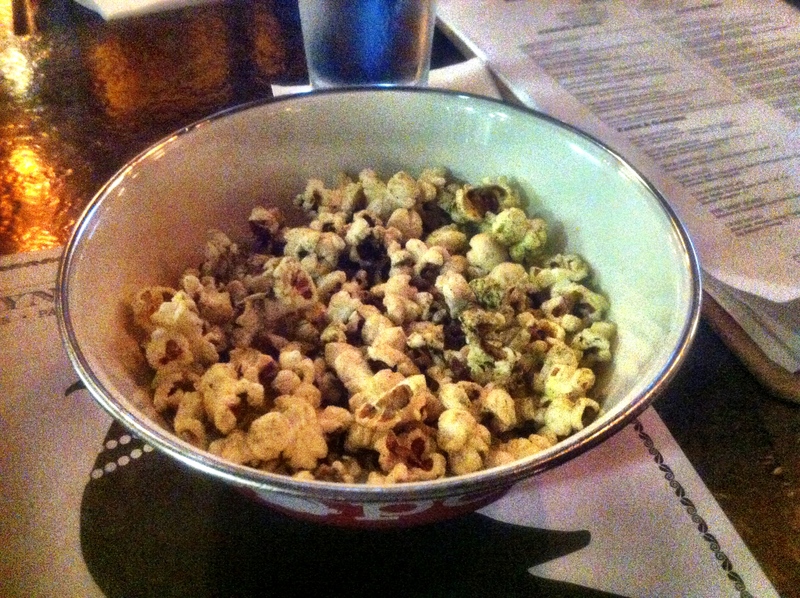 Last time it was Thyme and Butter Popcorn (shown below) and the previous time it was a spicier version. 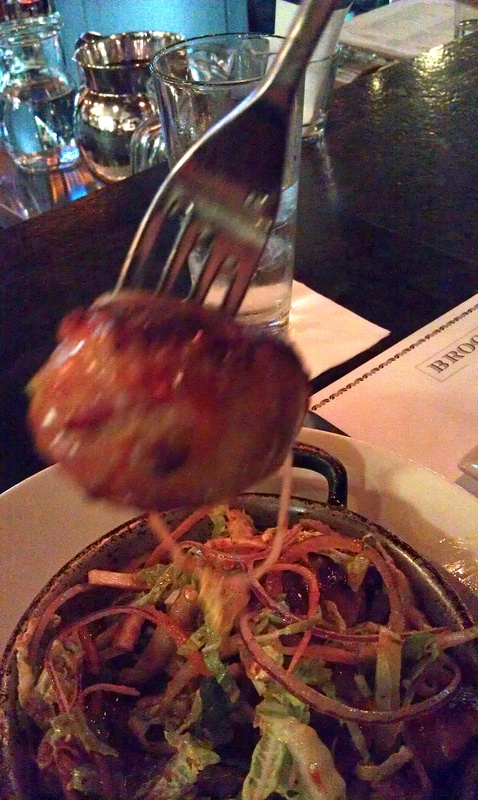 APPETIZER: Ok. You must try the Bacon Wrapped Vietnamese Meatballs. With a name like that how can you even pass it up? Between the flavorful pork, the crisp salty bacon and the sweet-spicy glaze this hits all the right spots. The slaw on top doesn’t hurt either. ENTREE: This is one of the few restaurants where the chicken can compete with steak and seafood. 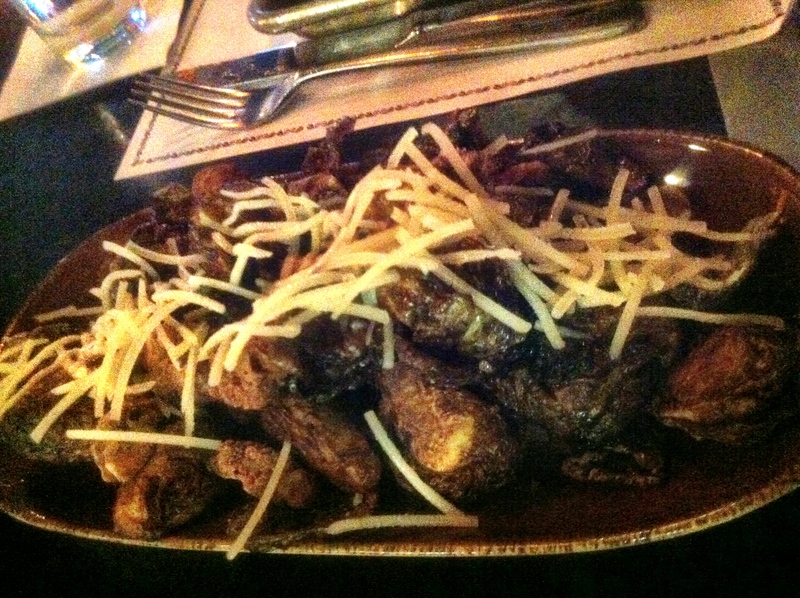 Normally we always go for steak/seafood when eating out but here the roasted chicken is amazing. Another fantastic standby is their Williams Burger. You pick between cheddar and blue cheese and can add cherry wood smoked bacon, a fried egg, or fried oysters for extra. We definitely suggest adding the bacon. 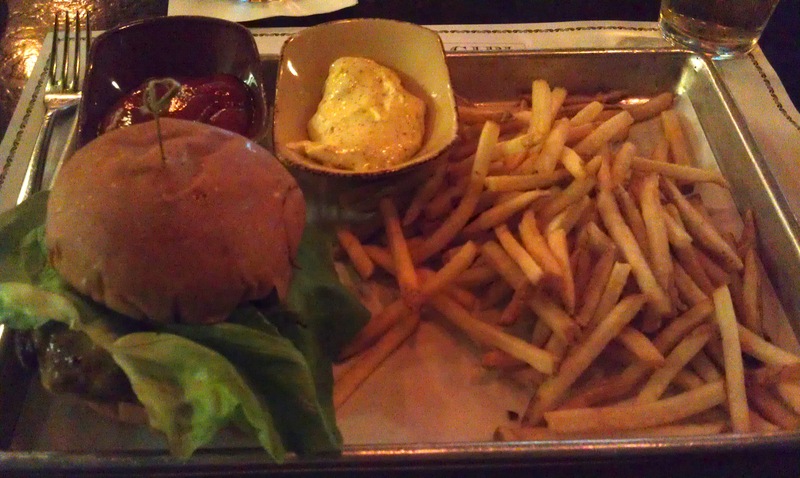 This burger comes with the classic sides (lettuce, tomatoes, pickle) and the Kobe/Angus beef was cooked to a perfect medium rare. No crazy aioli’s or unusual ingredients, just a classic done right (including the crispy thin fries!). Sometimes you can really tell the caliber of a restaurant when even their salads sound/are delicious. 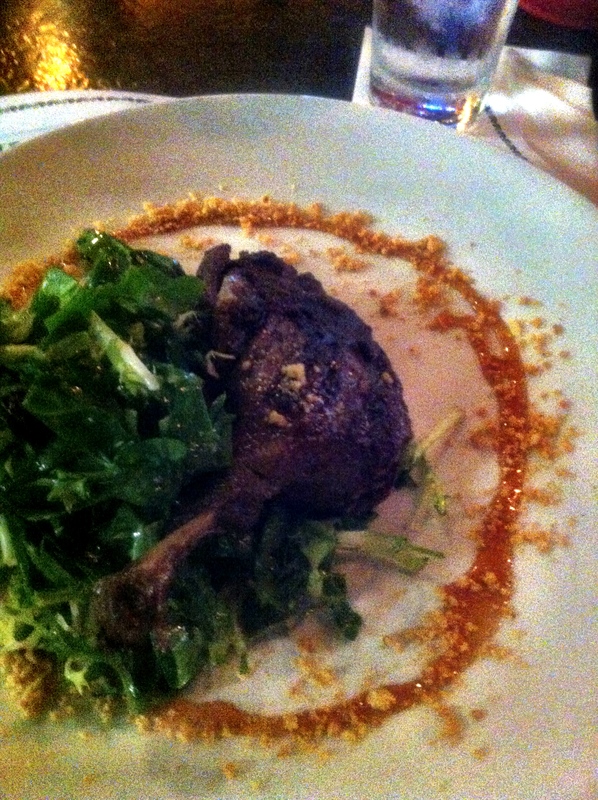 We ordered the Duck and Date salad and if you are a fan of duck this is the dish for you. The duck is falling off the bone tender and comes accompanied by frisee lettuce, spinach, Marcona almonds, chopped up dates and banyals vinaigrette. The richness of the duck pairs well with the sweet chewy dates and the fresh greens, a great cold weather salad (it’s been chilly lately in San Diego!). SIDES: One of the must order sides is their Cornbread and Honey: freshly baked cornbread (made to order) with a molten white cheddar core is topped with honeycomb and brought to your table. It’s sweet and salty and we actually prefer it as an appetizer than a side. 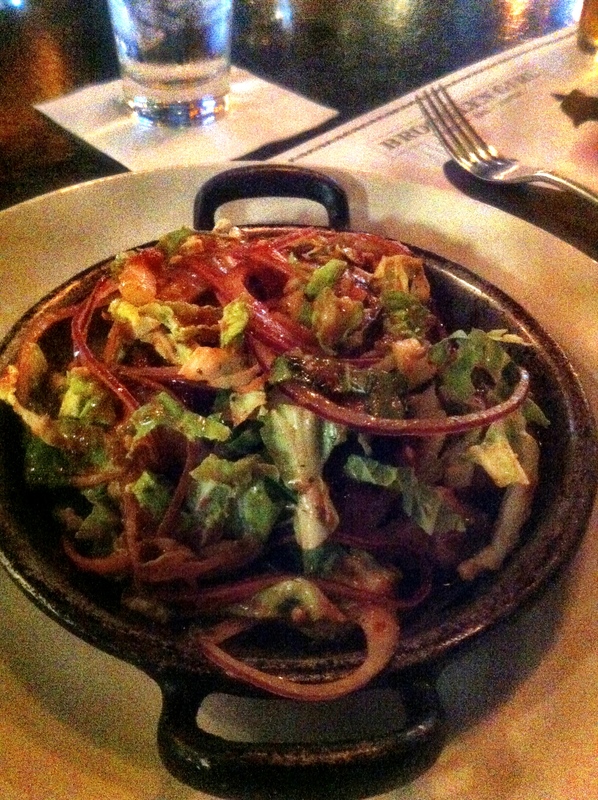 Another notable side is the Brussels and Bacon. If you normally think of brussel sprouts as limp, yellow-y, boiled bitter little bundles you are in for a treat. They are deep fried until they are shattering-ly crispy on the outside then served with bacon and caramelized pecans. Definitely a fantastic thing to add to your order and we always end up fighting for the last few pecans.